Laxuary resort hotel for adults, established in Toi,Western-Izu. 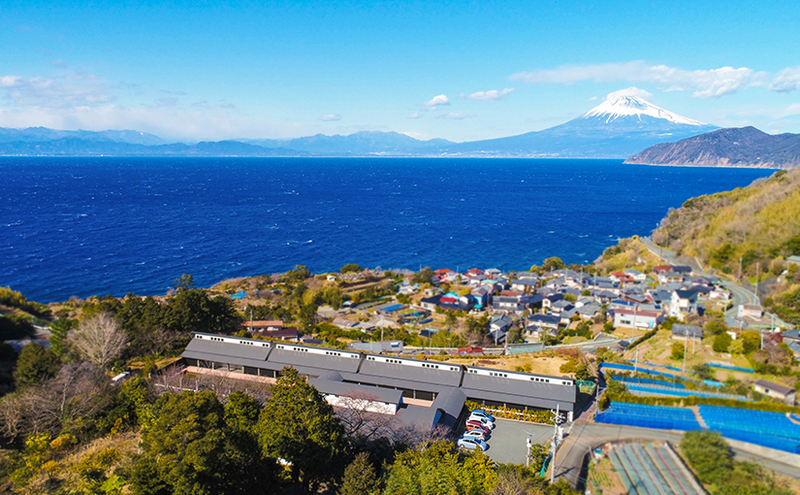 All 8 suite rooms have open-air baths with view of Mt.Fuji beyond the ocean. Guests can have an elegant time in the guest rooms placed vintage items and imported fine furnitures. The hotel offers dishes using many high-class ingredients selected carefully. Creative French dishes including Japanese taste are excellent.